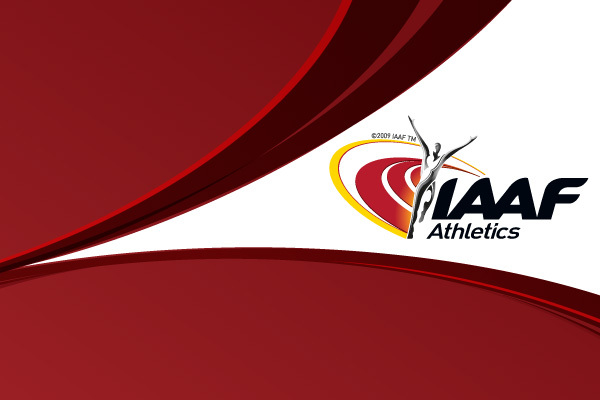 These are busy days for Czech Athletics on Friday and Saturday national championships (25/26 June) are being held in Plzen, and on Monday the 11th edition of Josef Odlozil Memorial – IAAF GPII – will be held in the Juliska stadium, Prague. The meeting will be for the second time part of IAAF Grand Prix II, so evoking memories of the late eighties when as the Evzen Rosicky Memorial it was part of Grand Prix in 1985 and 1987. In this year’s programme of 17 events is men’s Hammer, which as last year will take place just outside the stadium. It was also the result of the 2003 meet with Japan’s Koji Murofushi achieving third position in the all-time lists with 84.86 metres. The Asian star is scheduled to come back for his first European competition of the year, and will meet again with European Champion Adrian Annus of Hungary and current Olympic champion Szymon Ziolkowski from Poland. Murofushi topped the world lists last Saturday in Eugene with 82.65, while Annus is very closely behind with 82.59 set in May in Magglingen. With the inclusion of Finland’s top thrower Olli-Pekka Karjalainen, the former World junior champion who recently improved his national record to 82.15, the top three from current world lists are compete. World Indoor High Jump champion Yelena Slesarenko from Russia is another star attraction, she is also leading the world lists with 2.04m achieved in her first outdoor competition of the year in Bydgoszcz, Poland’s at last weekend’s European Cup. The third world leader to be seen in Prague on Monday afternoon will be shot putter Christian Cantwell of USA who has the top three results of the year (22.54, 22.35, 21.74). The World Indoor champion is scheduled to start his European campaign in Lille, France on Saturday (26 June) and then travel to the Czech Republic. Among his opponents will be South African Janus Robberts (already 21.05 this year) and best local thrower Petr Stehlik (bettered his PB in May with 20.96). From the local scene many top names will compete. World Indoor Pole Vault silver medallist Adam Ptacek, Jiri Muzik and Stepan Tesarik in the men’s 400m hurdles, and in the women’s Discus, IAAF Ranking Event leader Vera Cechlova-Pospisilova. The memorial event of 1500m (Josef Odlozil won the 1500m silver medal at 1964 Tokyo Olympic Games) will have north African favourites with Youssef Baba (Morocco) and Abdeslam Kennouche (Algeria), with local best runner Michal Sneberger also seeking the best possible result. From the international point of view we should also mention Uchenna Emedolu from Nigeria at 100m (recently 10.05 in Rhetymno) and European Champion Glory Alozie from Spain at 100m Hurdles (also in Rhetymno 12.66). This meet which started in 1994 with a 2000m race and continued with all events in 1995 continues to grow in success and will be for first time televised live by Eurosport.